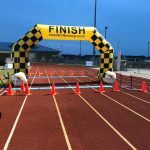 We provide timing solutions and Race Management for events of all sizes, offering very affordable chip timing options for small, charitable, or first time events. We serve East Tennessee, and all of Florida. We specialize in RFID chip timing - both UHF and Dual Frequency systems are available depending on your event needs. Our timing chips / tags are attached to the back of the bib and/or on the shoe depending on the event. We provide live results during your event with Internet access and printed results when you want them. We created ROAD KILL TIMING in 2013 to offer low cost timing services to non profits in the Orlando area. 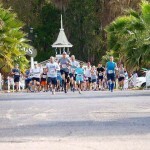 We have decades of experience managing and timing races from small local 5k runs to Half marathons. © 2017 Road Kill Timing LLC, All Rights Reserved.